Confusion abounds when it comes to student tax. Many students are completely unaware that tax affects them, and others do not understand their responsibilities. So, as a student, how will you be affected by tax? Students don’t have to pay tax, right? Wrong. Contrary to popular belief, there is no exemption for those in education. As a student, you will have to pay tax just like everyone else. The difference arises simply because most students are not in full-time work – and are therefore earning below the income tax threshold. But if your earnings exceed that threshold, you will have to pay. Similarly, if you are self-employed you will still have to complete an annual Self Assessment tax return – whether or not you are student. So how much do I have to pay? The amount of tax you pay depends entirely on how much you earn. If your annual earnings are below the income tax threshold (currently set at £6,475), you will not pay any tax. If your earnings exceed that limit, you will pay tax at one of three rates. The basic rate of 20 per cent applies to those earning up to £37,400. The higher rate applies to income over £37,400 and, from the 2010-11 tax year, the additional rate of 50 per cent will apply to income over £150,000. 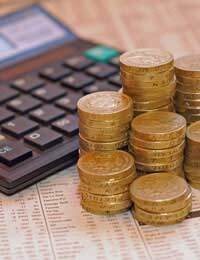 You should also remember that you will have to pay National Insurance Contributions at a rate of 11 per cent if your earnings exceed the Lower Earnings Limit – currently set at £95 per week and rising to £97 per week from 2010-11. What if I just have a part-time job? This is where the confusion arises. Most students work part-time, and are therefore unlikely to breach the tax threshold. In these cases, your income should not be taxed. It is very common, however, for those in part-time work to be taxed more than they should be. This generally occurs because of an error either on the part of your employer or at HM Revenue and Customs (HMRC). You should therefore keep a close eye on your payslips and your tax code, to make sure that you are not being overtaxed. I’m being taxed too much – what can I do? If you think you are being taxed too much, you should talk to your employer in the first instance. The fault may lie with them, or there may be another reason why your pay packet is smaller than you anticipated. If you are being overtaxed, it is probably because HMRC do not have sufficient information about your financial affairs. This often occurs when people do not give a new employer their P45 from their previous job. Once you have provided your employer with that information, and they have passed it onto HMRC, your tax code can be corrected. If you have paid too much tax you may need to apply for a refund. You can do this by contacting HMRC directly – but you should remember that you may need documentation to support your claim. This might include your P60, which you should be able to get from your employer. Tax is a complex subject, and one that can have a significant impact on your finances. If you are in any doubt you should seek independent advice, for example from the Citizens Advice Bureau.